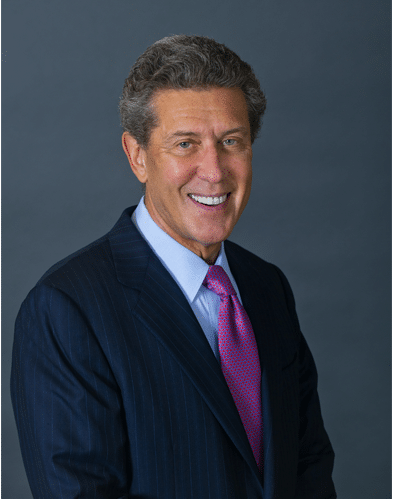 There is no substitute for experience – Q & A with attorney Hal Waldman — a nursing home abuse litigator who has 40+ years’ experience owning and operating a nursing home & personal care home in Western Pennsylvania. What puts you in a unique position as an attorney who prosecutes nursing home abuse cases? The key thing is that I have been the owner of a nursing home and personal care homes for almost 40 years. So I have a different perspective coming from an ownership position. As a business owner in this industry, I understand what should be done, the regulations, the standard of care, the kinds of abuse, and I understand the system — how to find the information that exists in our government agencies in order to prosecute cases. So that gives me a unique perspective. I don’t know of any other nursing home abuse attorney in Western Pennsylvania who is a trial attorney and who also has a 40-year career owning both a personal care home (assisted living home) and a nursing home. A personal care home is one-step down from a nursing home in the acuteness scale. Those are regulated by the Department of Welfare as opposed to “skilled nursing homes” which are regulated by the Department of Health. In that time, we’ve seen pretty much all the kinds of cases you can see, both from a defense point of view as well as from a plaintiff’s point of view – fall down cases, ulcer cases, poor application of medicines – those are kind of classic problems you see in personal care homes and nursing homes. And, of course, there’s the issue of abuse of patients too. Unfortunately, some aides will abuse patients. So we’ve seen all of it. We’ve testified as an expert witness in some of these cases, and we are called on by other owners for advice on these matters. In addition, we know most of the defense attorneys on the other side of these cases, so we have a long-standing relationship with a lot of them. Have your own facilities ever been sued for cases like these? We’ve been sued maybe two times in my 40 years in this business. But it is something that is more prevalent now because people see personal injury attorney ads on TV, and there are more people in personal care homes and nursing homes now, just due to demographics. The natural result of that is that there are now more people interested in lawsuits and litigation. Knowing what you know, does this lead to you managing your nursing home in a different way? For example, does it change how you manage personnel? Obviously, we try to make the staff aware of training on things that they should be on the lookout for. But keep in mind that people in this population are fragile, they do fall. There’s not much you can do when they fall, but what you can do is to get them thoroughly examined or sent to a hospital immediately. In other words, you can’t prevent every fall, but what you can do, though, is appropriate follow-up, and that’s what we try to do. Nobody’s perfect, but you try to train your people to do appropriate follow-up and to be aware of things. There are times when people make mistakes on medicines. But there are also other situations that aren’t so cut and dried. If, for example, you have a very rotund person who just refuses to move, they’re very possibly going to get ulcers and sometimes you have to try to bring in specialty wound care people to address that. So as an owner we understand the standards and the duty of care that are owed to people. One of the worst things you can do is to take on a case that, really, you’re not going to be successful at and you put a family through several years of agonizing emotional stress, to say nothing of the cost. So that’s another advantage we have as a nursing home and personal care home operator: we have a very good sense of what is negligence and what isn’t negligence — because not all bad care is negligence. So as an attorney receiving nursing home abuse inquiries from the public you have a very practical feel for what’s real and what’s not? Yes, and I’ll give you an example: I had a friend, a neighbor of mine, who called me up and wanted me to do a malpractice case against a nursing home. I asked her “how old is your dad?” Her dad is 98 years old. Well, as soon as she said 98 — that’s a tough case to begin with. She started to tell me that her dad is in good shape. Well, the more we talked together, the more I found out that he’s not in good shape: he’s on dialysis, he has a pacemaker, and a variety of what we call co-morbidities. (A lot of different medical conditions as you might expect a 98-year-old person to have.) Well she was a neighbor, and I wanted to break it to her gently but given that fact pattern it’s almost impossible to have a good nursing home case. Another thing to consider: these cases can take two, three, four years. Is that person who is 98 going to be around as a witness, or a cognizant witness, 3 or 4 years down the road? So rather than putting a family through an emotional roller coaster, that is a case we would politely tell the family no, we’re not interested, and here’s why. I think that’s an important decision for the nursing home abuse lawyer as well as for the family: what makes sense. If somebody has Alzheimer’s you have a lot of problems in terms of having a witness, as you can imagine. So all these factors that you don’t have in a normal case, become important in a nursing home case, and that’s where experience comes into play. Can you think of a recent nursing home abuse case that you did take on, that had a more or less typical arc? Sure, a classic case we just had, recently, was where a gentleman who used a walker in a nursing home, and in between an older addition and a newer addition there was an uneven pathway. He tripped and fell, broke an ankle and had to have surgery. We maintained that this was a design defect, especially in a nursing home where you have to be extra careful about hazards like that. We were able to go through the government records and found that this facility had been cited for this uneven pathway, so that was almost per se negligence. Given that we had dug up the government’s records, the insurance company for the nursing home opted to settle with us, which was good because when you have an elderly person you’d rather get a settlement now than try to get something in 2 or 3 years down the road, when you don’t know what the condition of the person is going to be. We had another case where a woman was in a wheelchair and she fell out of the wheelchair — which again, by itself does not necessarily show negligence — she fell out and hit her head and they put her back in her chair. A week later she fell out again, and this time they sent her to the hospital. Well we were able to prove that on the first fall she had developed a subdural hematoma and unfortunately at that age, there’s really not much they can do about it. She eventually passed away and we were able to successfully negotiate a settlement based on the fact that the nursing home should have done a much more thorough check on the first fall. They should have sent her to the hospital when she fell the first time. Those kind of cases — slip and falls, falling out of restraints, that kind of thing is fairly typical. There is a difference between an Assisted Living or Personal Care Home and a Skilled Nursing Facility. In Pennsylvania, a Skilled Nursing Facility is a facility which in terms of the acuteness of the patient’s condition, is right below a hospital. If you are in a nursing home, you’re generally very sick or you’re there for intensive rehabilitation. Medical management is pretty intense. There is a high level of care. These facilities are regulated by the Department of Health and a lot of the reimbursement is governmental — either Medicare or Medicaid, generally. Because there are sicker people there are a lot more nurses and lot of records that we as personal injury lawyers can get hold of from the government. There is usually a wealth of information that helps us with that case. Personal Care or Assisted Living is where people are generally in better shape. They’re generally people who have some degree of independence, but they need help with the tasks of daily living: bathing, feeding themselves, dressing or that kind of thing. These facilities are regulated by the Department of Welfare. I don’t want to say it’s a lower standard but it’s less intense. There is less paperwork involved (although there are records we can get at). Those people are generally in better shape, but there are still a lot of falls. still a lot of ulcers, a lot of wrong medicines provided. We bring cases against both personal care homes and nursing homes. You mentioned falls, ulcers, medication mistakes. Where does nursing home abuse come in? Well, broadly speaking, it can be something as simple as letting somebody sit in their urine or excrement for too long. It can be actual physical abuse where an aide gets frustrated and physically shoves or shakes a person. At that age most people’s bones are quite fragile. A big thing that we look at is that now there is a lot of profit pressure in a nursing home environment. Funding is being cut back by the government and many facilities, in order to survive as a business, are cutting back on staffing. In a lot of facilities there is a pattern of running under the government-mandated staffing levels. That can be very important in front of a jury, if they can be shown to have a pattern of not staying in compliance with government regulations. The other thing we go back and look at is the regulations dealing with the survey. Government agencies go in and survey facilities. These surveys are readily available online and they are usually quite extensive in terms of data. In the nursing home arena, the quality measures are readily available online. Nursing homes are rated on a star system for quality and if you have a one-star facility versus a five-star facility generally they’re more vulnerable. If an adult child has a complaint against a nursing home how do they raise those concerns? Do they go see an injury lawyer first? For a lot of people, their first step is to go to an ombudsman or to the Department of Health. There are a lot of resources out there for people who have complaints about the facility, but typically people go to a government regulator or to a quasi-government entity like an ombudsman. There are a variety of agencies they’re all equipped with 800 numbers. If there’s a complaint the state comes out — for pretty much every complaint an inspector will come out and look into the circumstances of each call. It’s a heavily regulated industry at this point. If you violate those regulations, that may be considered negligence or below the required standard of care. Sometimes it’s after taking those first steps that they approach a nursing home abuse lawyer. What’s the main takeaway here? As litigators and owners of facilities, we have the experience to see things from the other side and that makes us a totally unique in the marketplace.